As someone once said, It's Christmas! Wargrave Road is closed in Twyford. You may need to allow a bit of extra time for the journey, if it hasn't reopened! It is a few years since we took part in this event, Wokingham Waterside Centre. No previous experience or equipment is required as the Waterside Centre will provide the boats, paddles, buoyancy aids etc. as well as qualified helms who will tell your team what to do. 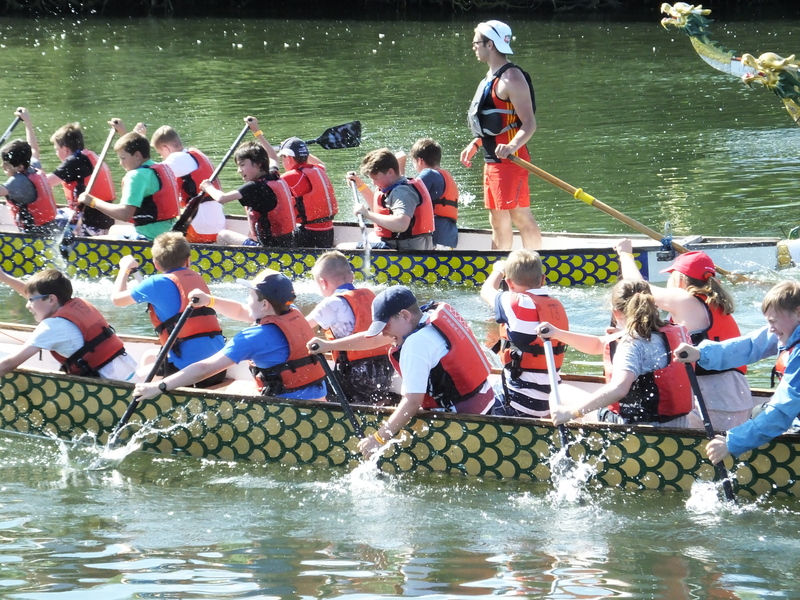 The maximum number in a team is 11 (10 paddlers and one drummer) the cost for taking part is £7.50 per paddler, we will enter a team as long as we have a team of at least 8 to crew a boat. Entries must be submitted by start of May, so if you would like to take please let me know by email before April 25th at latest, so that I can put a team entry in. Email purp at purple@twyfordscouts.org.uk to confirm your place. Four different events (field archery, target archery, air rifles plus one other), prizes, medals and a trophy for the overall best team, all are welcome and no previous experience is needed - from what we have seen over recent weeks you are all more than capable of doing well at this event. Full details and a copy of the information and shooting permission form for the event can be found below. If you would like to take part please email Zed zed@twyfordscouts.org.uk to confirm your place. Many of you receive badges from the activities and camps; if you're unsure where they go then have a look at our Scout Badges page - this also has links to the relevant requirements for each of the Awards you can earn. If there are any badges in any of the categories that you think you might have earned or want to earn then have a look on the Scout Association's website here to see what you have to do and then have a chat with a Leader or Sue at one of our troop nights. Finally, please make sure that you get your badges sewn on; you've put the effort in to earning them, the Leaders have put effort in to running a programme that gives you the opportunities and the Group has bought them so wear them on your uniform with pride!